*Sigh* That scene always makes me all misty-eyed and aware of my own plainness. I could gush over Audrey Hepburn's loveliness and gracefulness forever, but not today. 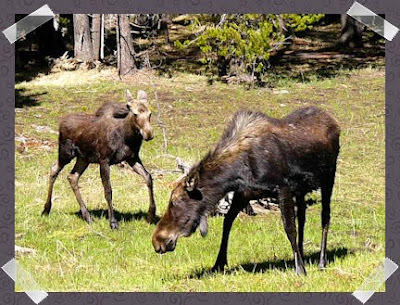 Today is all about the moose! All the recipes that I found for dairy-free chocolate mousse called for silken tofu, but I wanted to make this dessert soy-free as well. What to do? Well, consult with the all-knowing entity that we know as Alton Brown, of course! 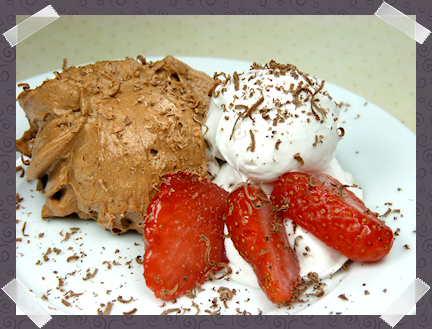 His non-vegan chocolate mousse recipe inspired the following gelatin-free, dairy-free, soy-free chocolate mousse. Alton's recipe calls for whipping cream, but of course I used coconut milk instead. Are you shocked? I swear I don't own stock in any coconut milk manufacturer, I just love the stuff! Anyway, the can of coconut milk should be refrigerated for a few hours, or ideally overnight. This gives the coconut fat plenty of time to separate itself from the liquid so we can whip it up and turn it into a beautifully fluffy cream. Don't throw the clear liquid away though! We're going to use the whole can of coconut goodness! 1. Open the can of cold coconut milk and scoop out all the separated cream into a medium size mixing bowl. Try not to scoop out too much of the liquid along with the cream, it's best to leave some bits of fat floating around the coconut water in the can than to mix too much liquid with the fat. 2. Add the sweetener and vanilla extract to the cream. 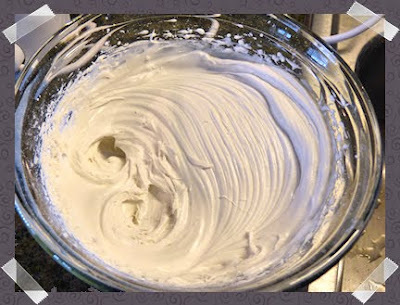 Using an electric mixer (with cold beaters) beat the cream until light and fluffy for about two minutes. Refrigerate it while you work on the chocolate (you will need the beaters again later). 3. Pour the liquid contents of the coconut milk can into a saucepan and stir in the agar flakes. Let the agar flakes soak in the liquid for 15 minutes. Simmer for about 8 minutes until the flakes are mostly dissolved. My flakes never dissolve completely! If your agar flakes are rebellious too, just transfer the saucepan contents to a blender or magic bullet and blend for a minute or two. 4. Place the chocolate chips in a medium sized bowl. Using a fine mesh strainer to catch any undissolved agar flakes, pour the hot liquid/agar mixture right over the chocolate chips. Stir until smooth. Not getting smooth? Microwave it for 20 seconds and stir vigorously until smooth. Repeat if necessary. Refrigerate for two hours. 5. 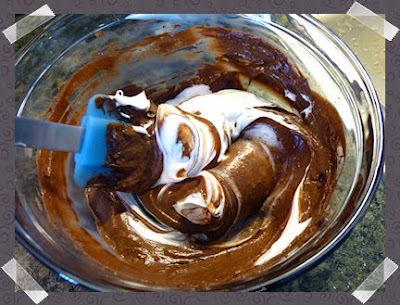 Remove the cold chocolate from the fridge and use an electric mixer to beat it until soft and creamy, about one minute. 6. If you were able to resist eating the coconut cream by the spoonful, remove it from the fridge and use a spatula to gently fold (don't stir or beat or whisk!) 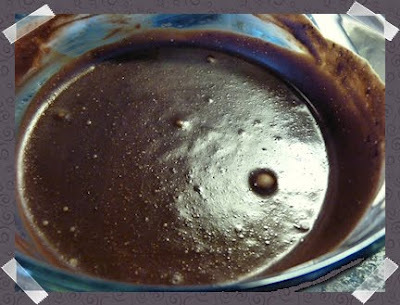 3/4 cup of cream into the chocolate. This will leave you about 1/4 cup of coconut cream that you can serve as a topping later. Refrigerate for at least an hour, but the longer you wait the better! Open wide! Here comes the airplane! Oh, yeah. I made ratatouille too. Poor ratatouille, the chocolate mousse totally stole its thunder. It was still very tasty and awesomely stewy though. Stewy ratatouille recipe. your veganized mousse recipe is so clever! Gorgeous photos too. 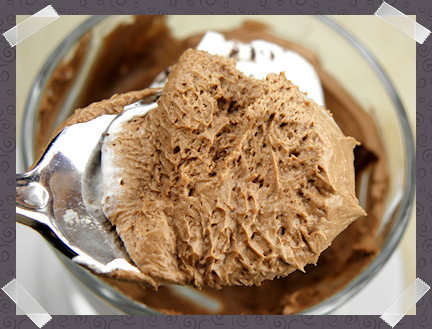 Your mousse looks amazing! The beautiful coconuttyness of it--I just have to make this soon! That mousse looks killer good (and I love that first photo)! I'm a sucker for a good mousse. . . love that it has no tofu! :) And I happen to love ratatouille, too--it would be great on millet, I bet. Magnifique! Where to begin? Thanks for the Sabrina clip - I have clearly been missing something having not seen the movie. Those two are so amazing, in such completely different ways - perfect introduction! Ratatouille is always welcome - and that's a movie I have seen :) I'm watching Sabrina at the first opportunity though. Great post! AUDREY!! And yummy mousse! Altogether delicious! Que j'adore la France! I was introduced to ratatouille when I lived in France and have loved it ever since. What a wonderful dish; chock full of veggies and love. Audrey Hepburn is my absolute favorite actress. I have every film she's ever made (except the few that were never released for home viewing) and she is exquisite in each and every scene. When I lived in France, I actually cut my hair very short, just like Sabrina did when she left home. Thanks for the lovely mousse recipe! Oh. My. GOSH!!!! So, if I ever win an Oprah-sized (size of her fortune, not herself, of course) lottery... will you come live with me and be my personal chef? Pleeeeeeeze? i love both the moose and your mousse, River. yay! 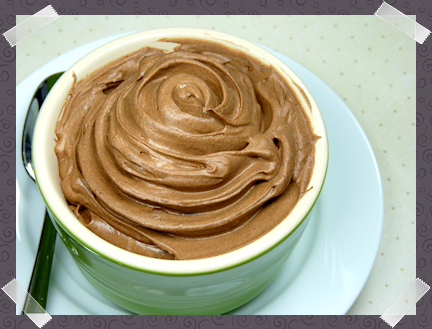 your mousse looks absolutely perfect - you make the yummiest looking dishes, i swear! mmmmmmmmmmm! i looove me some coconut milk, too - we always have some on hand. i just can't get enough of it. i haven't had chocolate mousse in years - think i'm gonna have to make yours and treat dan and i. i love the ratatoullie, too - never thought to sever it atop millet. brilliant AND delicious. score! YAY! for moose AND mousse! I don't know which one I prefer! You chocolatey coconutty mousse looks ridiculously AWESOME River. I can see all your beautiful photos so flikr has sorted itself out. This looks wonderful! Last week I made mousse with silken tofu and it was just ok. I can't wait to make this one! How much does this recipe make? This mousse looks so tasty! 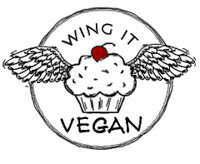 I haven't had any since a vegan and this might be the ticket - especially with the coconut milk! Gotta love Alton! And coconut, mmmmmm. River that chocolate mousse looks unbelievable! I love that it is soy free too. Now I am going to put coconut cream in the fridge and then wait patiently for it to separate! And the ratatouille looks delicious, perfect for an autumn lunch or dinner! Bravo! Lovely little visit to France. Ratatouille is one of our summer stand-bys when everyone donates their garden tomatoes & courgette! Oooooo this looks fantastic! I love how you've been using coconut milk in your latest recipes! Yum. Of course I can't ignore the ratatouille - it's one of my favorite summer meals! Looking forward to following to see your future posts! 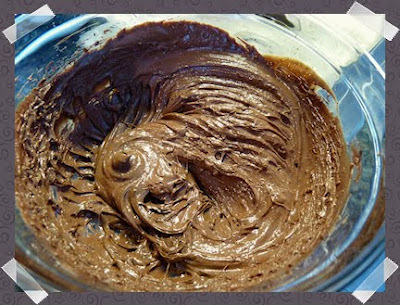 This mousse looks fabulous! Nice blog and nice recipes here! 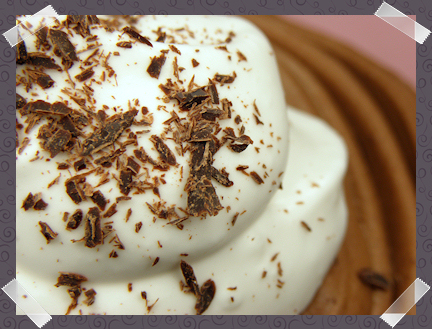 That mousse looks and sounds amazing! I have been dissapointed with the various tofu based recipes I have tried in the past but your picture looks exactly how I recall my childhood animal product laden mousse being. 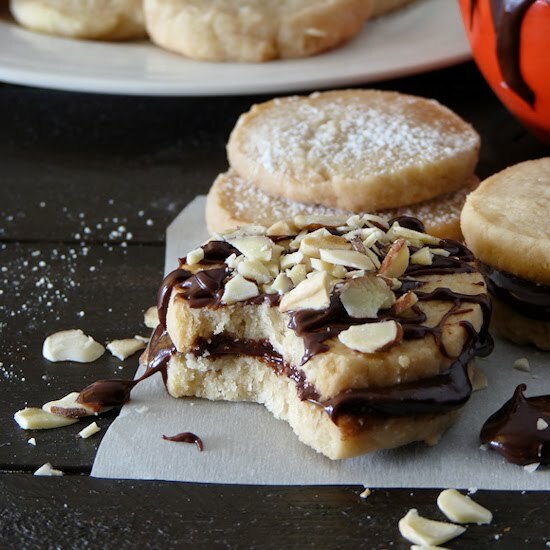 Definitely bookmarking the recipe for the next time I need a decadent dessert! I was wondering if anybody else had tried this unbelievalbe lookin mousse! I am thinking of putting it in a pie crust and serving for dessert on Thanksgiving. Thoughts? How firm does your coconut cream get? I opened a can of unrefrigerated coconut milk the other day and it was already separated and the top layer firm. According to the internet this sometimes happened so I said, "it's finally time to make the chocolate mousse!" and stuck it in the fridge. 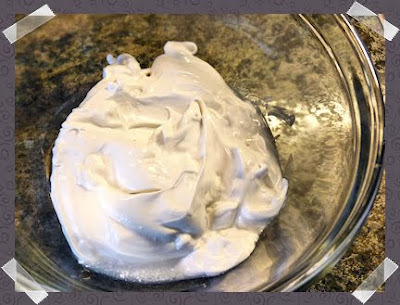 When I went to whip it, it was really hard and I just could not get it to be smooth no matter how long I whipped it and so my mousse is kind of lumpy. In the picture though, yours still looks soft. I think there was something wrong with my coconut milk. Have you ever had this happen? I was looking for a light fluffy vegan mousse to fill some empty chocolate shells and this totally did the trick! The other vegan mousses that use tofu are way too dense and rich. This one was perfectly airy and wonderful. The only thing I changed was that I used about 3/4 teaspoon of agar powder instead of the flakes because my Asian market didn't have the flakes.